India vs Sri Lanka: Check IND vs SL 2nd ODI Cricket live score today. It’s the second one-day game of the 5 ODIs series. The Indian cricket team won the first game by 9 wickets and dominated hosts. Today’s match is to be played at Pallekele International Cricket Stadium. Shikhar Dawan made an unbeaten 132 runs and thrashed SriLanka bowlers along with captain Kohli who scored an unbeaten 82. Sri Lankan skipper Tharanga must be looking to break their losing streak. So far, SL has won 9 and lost 7 in the last 16 ODIs at this ground. While the men in blue have played only a single game and have won it. Last week, team India had their biggest win over Sri Lanka in the 3rd test match. India is carrying its winning momentum and must be looking forward to clean sweep the ODI series too. The SriLanka Tigers need to win at least two ODIs in the ongoing series to ensure their qualification for the 2019 ICC World Cup before the September 30 deadline. Else, West Indies would take over them and will automatically qualify for the upcoming cricket WC. Today’s match is to start at time 2:30 pm IST at Pallekele Stadium. The live streaming of India vs Sri Lanka will be available on www.SonyLIV.com. The toss will be performed half an hour before the game starting time. The live telecast will be done by Sony SIX and channels of Sony Ten network. Watch: Manchester United vs Leicester City Live Stream. India Probable 11: Virat Kohli (capt), Shikhar Dhawan, Rohit Sharma, KL Rahul, Manish Pandey, Ajinkya Rahane, Kedar Jadhav, MS Dhoni (wk), Hardik Pandya, Axar Patel, Kuldeep Yadav, Yuzvendra Chahal, Jasprit Bumrah, Bhuvneshwar Kumar, Shardul Thakur. Sri Lanka : Upul Tharanga (capt), Angelo Mathews, Niroshan Dickwella (wk), Danushka Gunathilaka, Kusal Mendis, Chamara Kapugedera, Milinda Siriwardana, Malinda Pushpakumara, Akila Dananjaya, Lakshan Sandakan, Thisara Perera, Wanindu Hasaranga, Lasith Malinga, Dushmantha Chameera, Vishwa Fernando. Looking at the form, India should win the match. 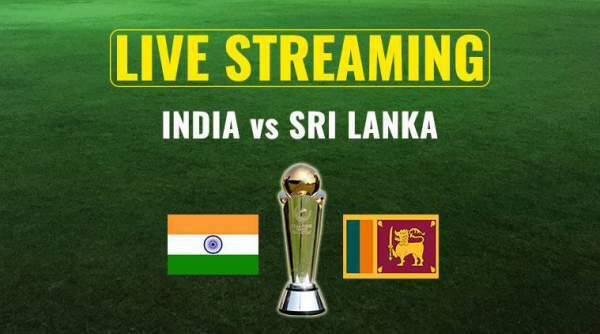 Come back for India vs Sri Lanka live streaming, 2nd ODI IND vs SL live cricket score, commentary, ball by ball updates, match result, video highlights, scorecard, and much more.